Real Tweet: “bored in class so I played connect the dots with this kids freckles”. ‘Nuff said…So, what can we do about freckles and skin pigmentation? Pigmentation means colouring and skin pigmentation disorders affect the colour / tone of your skin. Your skin gets its colour from a pigment called melanin and hyperpigmentation occurs when melanin is overproduced in certain spots on the skin. It results in flat, darkened patches of skin that are light brown to black in colour, and can vary in size and shape. 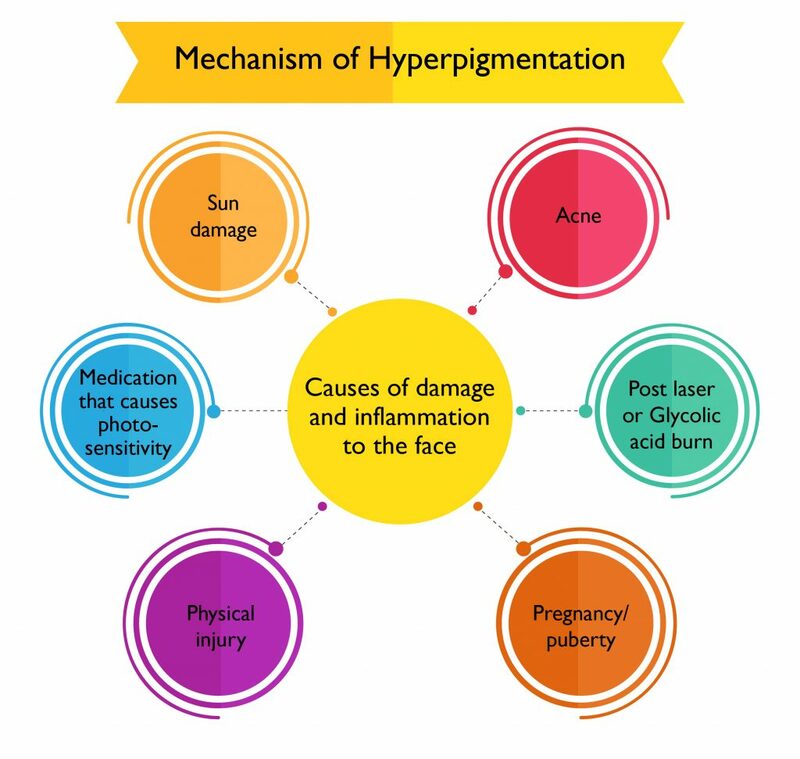 There are many types of hyperpigmentation, but the following are the most common: freckles, post-inflammatory hyperpigmentation, dark spots, age spots and melasma. 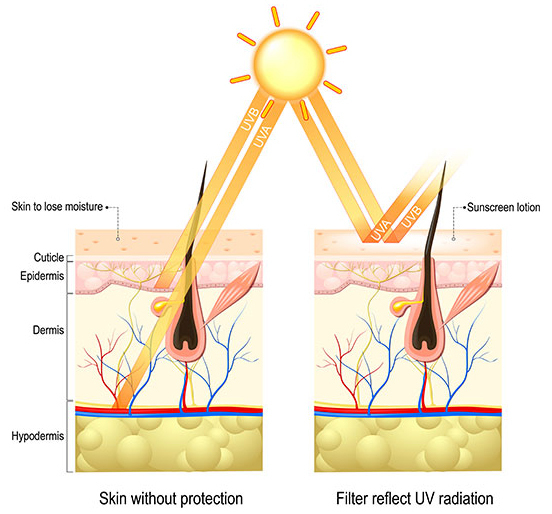 Sun exposure is the #1 cause of hyperpigmentation as UVA triggers the production of melanin in the first place. Melanin acts as your skin’s natural sunscreen by protecting you from harmful UV rays (which is why people tan in the sun). 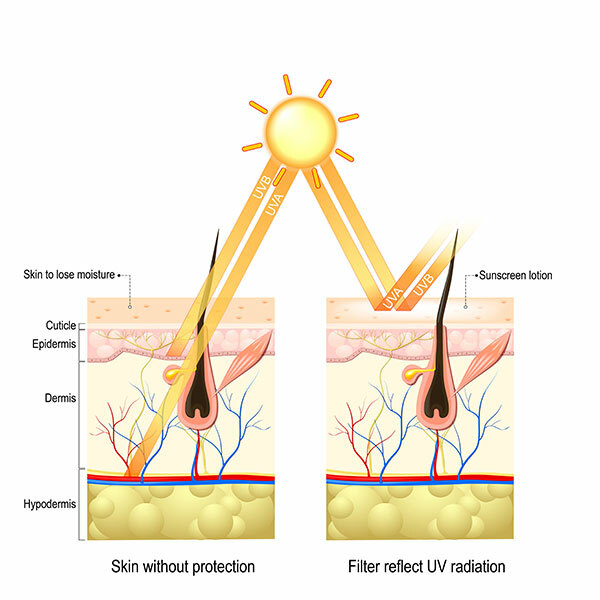 But excessive sun exposure can disrupt this process, leading to hyperpigmentation. Once dark spots have developed, sun exposure can exacerbate dark spots by making freckles, age spots, melasma and post-inflammatory hyperpigmentation spots even darker. If you can’t stay out of the sun, limit the time you spend in the sun and use a broad-spectrum sunscreen with a high SPF to help reduce your risk of developing hyperpigmentation, and stop existing dark spots from getting worse. Intense pulsed light (IPL) skin rejuvenation, also known as photorejuvenation, is a non-invasive treatment designed to diminish the appearance of dark spots, suppress melanin production and reduce fine lines through the application of a broad-spectrum light. Estetica IPL therapy ($150/30 minutes) targets dark, pigmented cells in the dermis, causing them to eventually shed. Regular treatments can also help stimulate collagen growth and can minimize the appearance of pores. Book an appointment now! Diligent use of right products: Using the right skincare products is as crucial as being diligent in using them. Vitamin C derivatives has been shown to be effective against hyperpigmentation when used in conjunction with other active ingredients. Estetica ést.lab’s LumiWhite products not only contain STAY-C® 50 – a stable derivative of Vitamin C, and also DERMALRX® SRC- clinically proven ingredient to exfoliate 375% dead skin cells for a brighter and smoother complexion in 3 days and reduce skin roughness by 26.2% in 28 days. Consistent use of ést.lab’s LumiWhite products can definitely help you achieve a more translucent and radiant complexion. If you are attending a special event and need an instant glow, Estetica’s award-winning BB Dewy Shine Therapy brightens your skin instantly by using Nano Crystalline Therapy System with skin colour brightening ampoules infused with healing properties. The entire process is gentle, non-stimulating and the skin colour brightening ampoules will not clog your pores. You can be assured that safety tests have been done to ensure that it doesn’t contain any heavy metals which are commonly found in cosmetics.